All technicians are licensed and attend training annually. 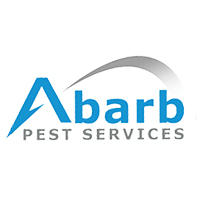 Abarb Pest Services is a full service family owned company in business since 1973. Our commitment to the customer is the most important aspect of our business as we continually strive for excellence in service. At Abarb, we have been dedicated to bringing you the best service in a worry free, most timely, and ethical manner. Our reputation has been built on customer satisfaction and loyalty. I have been an Abarb customer since 1977. This is the ultimate proof of my satisfaction with the quality of the service. We have used Abarb for 20++ years. We are very satisfied with their service--no complaints. Their associates are always helpful. We discuss/review the current situation at our home etc with during each visit. If there is any issue, they will address as appropriate. Bottom line: we have recommend Abarb to others. Always prompt and courteous and well schooled in their field. Always happy with our service! Thank you. Great service and good outcome! Everything was perfect , you can't improve on perfection. You guys always take good care of us! Thanks! Even a day after you've just been here when we had an ant infestation outside. Technicians are very helpful and friendly. If I have a problem you are able to accomodate me within a timely manner. Have been using you for about 12 years and never had a problem. Service is fine I would appreciate though, a call at 551 427 6302 about 30 minutes prior to service just so I might give entrance to inside of house. We have not had inside treated in many months. Thank you, Lee Ann Dack. I am very happy that they contact my tenant to get access. I am waiting for service now. Very pleasant person who did the inspection. Service is efficient and technicians are pleasant. Always professional and friendly service personnel who come to our house! If we’re not home, service that can be provided to exterior is complete and we are left information about what was done. Whenever we need additional service, they are willing to make appointments and come when we can be home. Thanks! Always very professional and knowledgeable. I am very pleased with your service. Thank you! Very thorough and very efficient. Junior is extremely polite and I feel very confident that when he completes his service it's a job well done. We are very pleased with the service from your company. Jeffrey was here last week and was great, very knowledgeable. Always prompt, prepared and courteous, as well as knowledgeable. Would recommend Abarb for quarterly maintenance services. we have been using the service for years and have always been very satisfied with all aspects of being invlved with Abarb. Always polite, efficient, professional. Great guy. Have been using Abarb since 1998. Have never had a problem with service or any of their technicians. Whenever there is a insect problem in between quarterly services, they are right there as soon as I call. Great Job Abarb!!! Always prompt, courteous and knowledgeable. Would recommend them to anyone. Also left voicemail at office about this - thank you. professorial manner, polite, listened to a problem that involved those darn field mice, and very pleasant.